views and take in an IMAX movie along the Malecón 2000, explore the hidden mangrove channels of the Guayas River, and enjoy a bowl of encebollado, a tomato broth-based fish soup that's a local favorite and sure to please. Whether you're just passing through on the way to the Galápagos or pursuing a business deal in the city's growing financial sector, Guayaquil welcomes with straightforward costeño hospitality and the spirit of a city on the rise. Guayaquil is the largest city in Ecuador and definitely feels that way. It can often be a passing through point due to its hub status. Wasn't in the city for long, just passing through on my way down to the beach and back up into the mountains. While Quito is the capital of Ecuador, Guayaquil is Ecuador's largest city, and it's financial capital. Also, unlike landlocked Quito, Guayaquil is a seaport town. 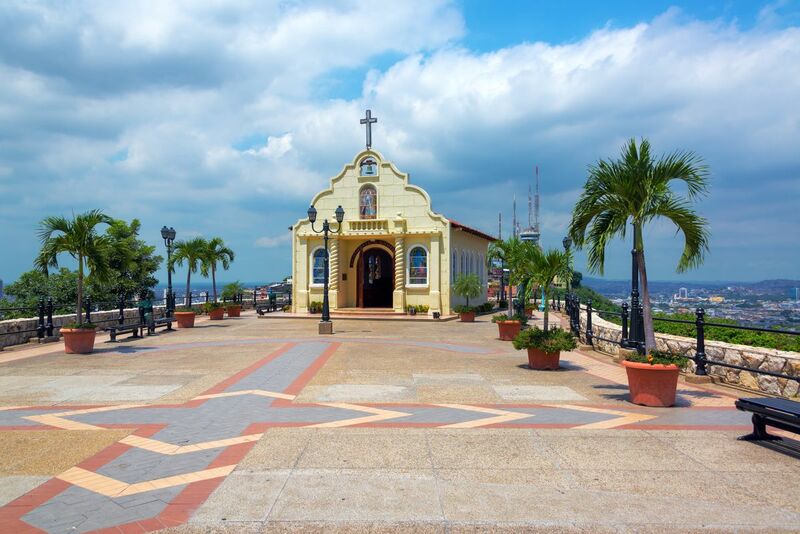 The "feel" of Guayaquil is definitely more lively, urban, industrial, and somewhat chaotic. Perhaps it was that we mainly stayed in the older, more traditional part of town so we felt like we have been transported back about 20-30 years back. Otherwise, we enjoyed experiencing the local flair, culture, and atmosphere. In the Ecuadorian "Tale of Two Cities" that wages between Guayaquil and Quito, I've always been partial to Quito. However, as Guayaquil has revitalized over the years, so has my interest in it. I've seen this city transform from a sketchy coastal slum, to a somewhat beautiful port metropolis. It's amazing what can happen to a town when it's people work together and are as vibrant and forward thinking as they are here along the Guayas. The Guayaquil of today is an A List city in my book! This is a fantastic city, the food is absolutely AMAZING, the main ingredient is "El Platano" and with this one ingredient chefs and cooks pull out fantastics dishes. The night life is fun with a good crow mixed from bars to clubs to lounges and cafeterias there is something for everyone. This is a most stop for everyone while is South America, and if you enjoy the sun get ready to be mesmerize... this city stole my heart and keep my soul!